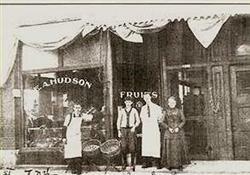 Support us in our efforts to preserve, restore and interpret the Historic Greater Rochester Area! 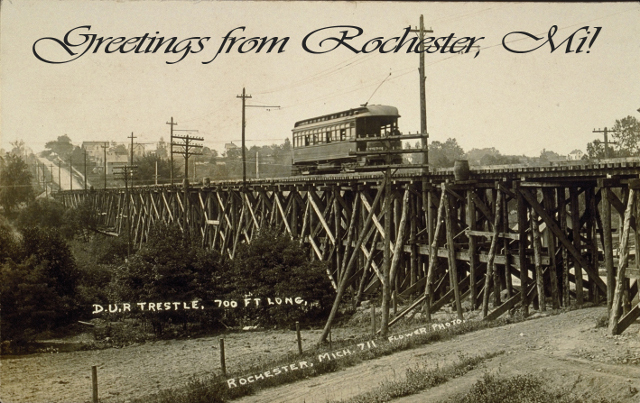 Learn more about the Historic Greater Rochester Area. Our award winning videos and books are great for the classroom or home. Looking for our collection of 34 historic Rochester-area photos? They'll be back in 2019!! 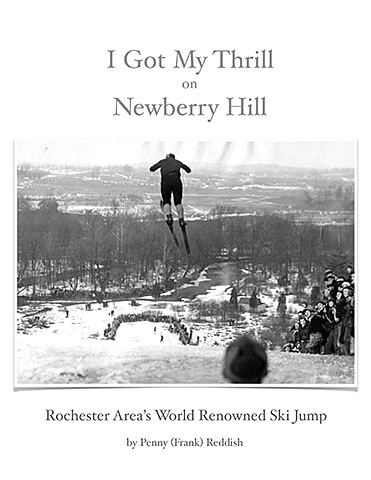 I Got My Thrill on Newberry Hill, Rochester Area’s World Renowned Ski Jump written by Penny (Frank) Reddish. The book contains over 60 pictures plus stories telling the history of the tallest Ski Jump in the Lower Peninsula. Limited edition coffee mug of the historic Home Bakery. 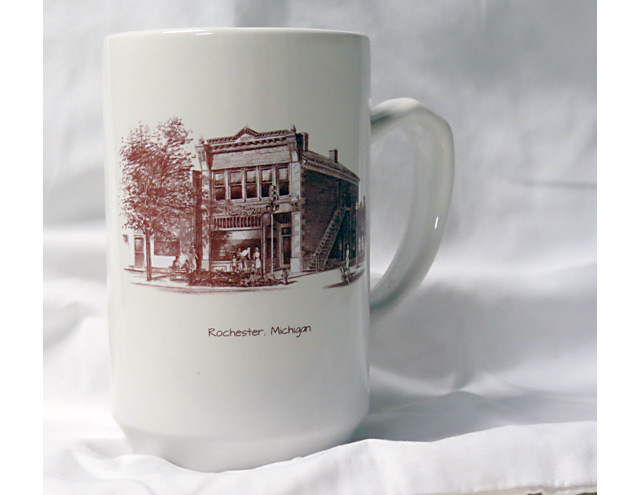 This is the second mug in our series depicting historical buildings in Rochester. Available at Lytle Pharmacy or at Historical Society meetings. Email RAHS for local delivery options. 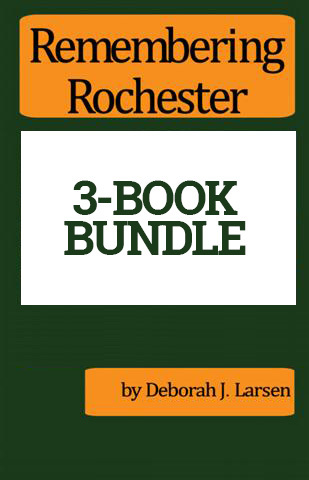 This Remembering Rochester bundle includes each book of the series by Deborah Larsen at a bundle price. 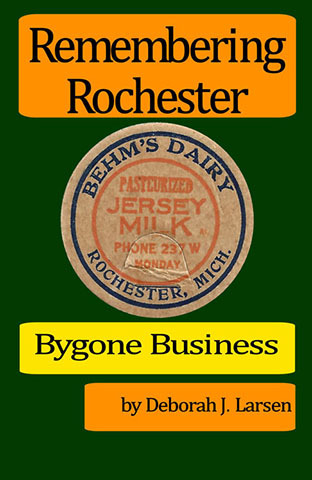 Published in 2014, this third collection of stories from Deborah Larsen's blog, Remembering Rochester, focuses on our town's bygone businesses from the mid-20th century. 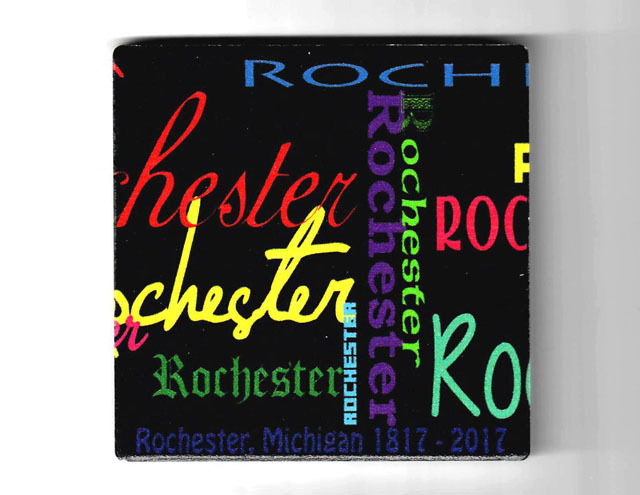 These coasters are covered with the name "Rochester" in a vast array of colors and fonts. They are imprinted with: Rochester, Michigan 1817 - 2017. Limited edition. Available only for local delivery. Email RAHS for local delivery options. These coasters are available separately (1 coaster) or as a 4-pack. Please select the appropriate number of coasters from the drop down menu below. 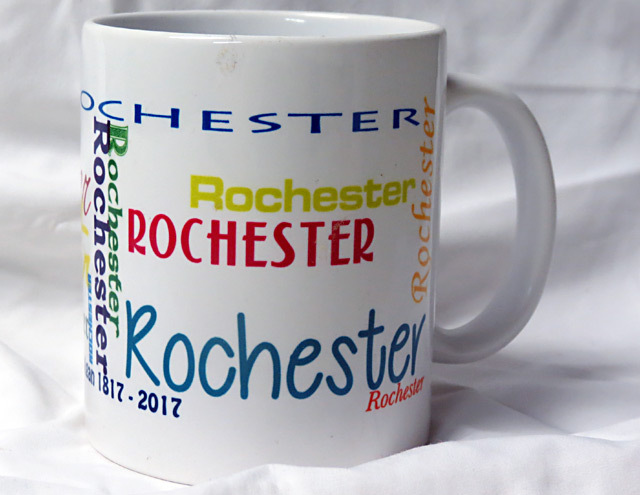 This mug is covered with "Rochester" in a vast array of colors and fonts. It also is imprinted with: Rochester, Michigan 1817 - 2017. Limited edition. Available at Lytle Pharmacy or at Historical Society meetings. Email RAHS for local delivery options. 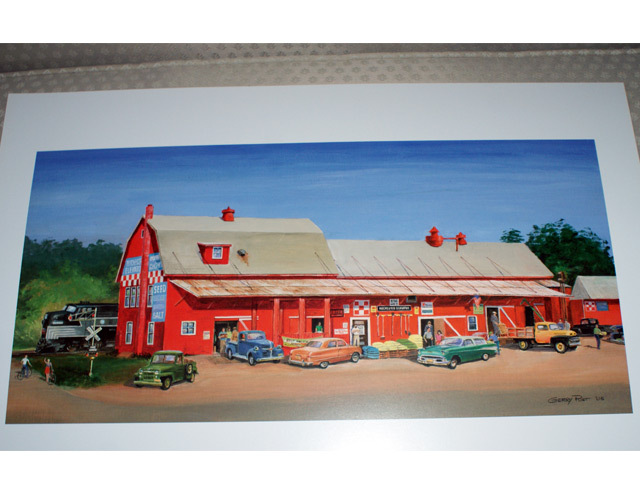 This full color, 10"x20" print was done by the late Gerry Post. Only a few are available. If you love the elevator, you will want this beautiful print. Published in 1969. 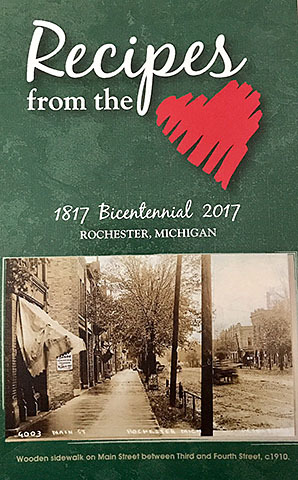 A 176 page hard cover book published for the Rochester Centennial. 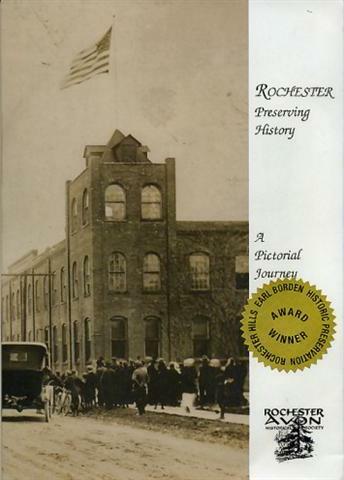 The written history of the Greater Rochester Area from its settlement in 1817 to 1969. Contains many pictures of the Greater Rochester Area. 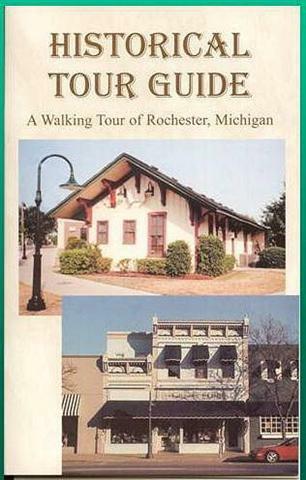 Walking Tour highlights 37 locations in Downtown Rochester. It also lists monuments, historical markers and plaques. Published in 2011. 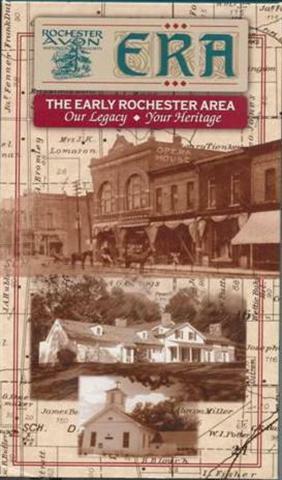 A soft cover book with stories of the the buildings on Rochester's Main Street, collected from the blog Remembering Rochester. 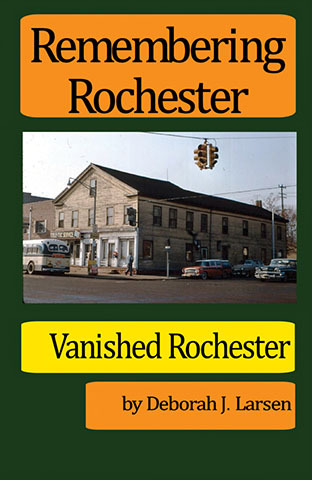 Published in 2012, this second collection of stories from Deborah Larsen's blog, Remembering Rochester, focuses on the places that have vanished from Rochester's landscape. Published in 2000. 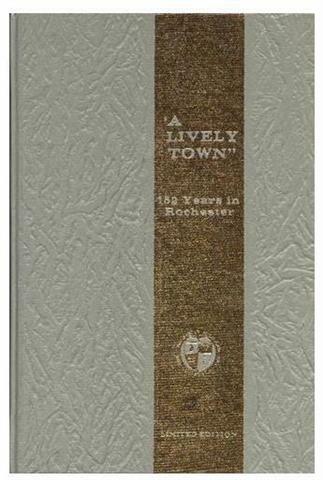 A soft cover book with over 200 pictures of Rochester never before printed in any other publication. Produced in 1998. 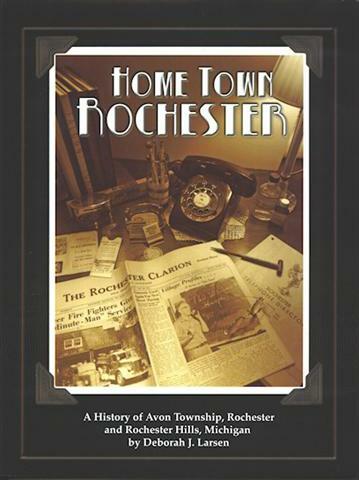 A documentary of the Greater Rochester Area from its settlement in 1817 to around 1950. Format: DVD. Running time: 75 minutes. Our new Mousepad features a post card image from the Ray Russell collection. It features the South Hill trolley (trestle) bridge and DUR trolley. Your desk won't be complete without one!